Enter any course where you have access to the MLP button or Locate the Subject Matter Expert Gateway to MyLabsPlus D2L course--From the My Courses widget change the Role to All Roles and Semester to Development. 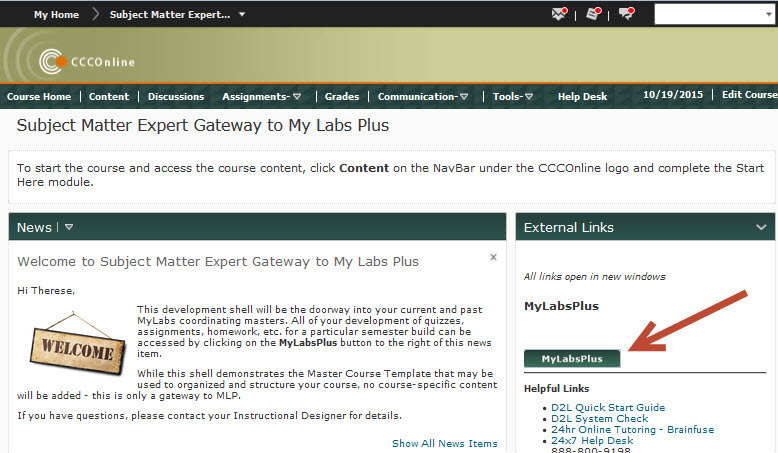 Enter the Subject Matter Expert Gateway to MyLabsPlus course>click the MyLabsPlus button. The list of MLP courses that you have access to will load in a new window. 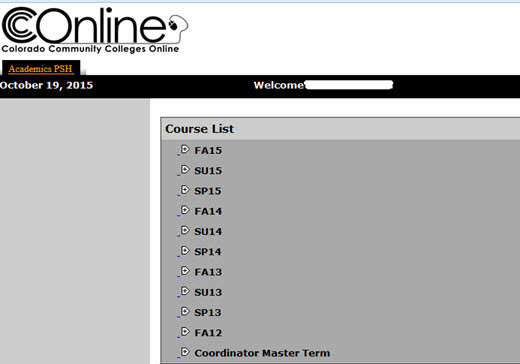 From the Course List expand the term by clicking the plus sign to review the list of courses you are enrolled in for the term. The Coordinator Master Term will contain all master copies of each MLP course and current developments. Note: If you are reviewing more than one MLP course per browser session you may experience caching issues. If you enter a new MLP course and determine that you are seeing an incorrect eText, digital assets or any content that you previously viewed, it is recommended that you close your browser and start a new browser session. Clearing your browser's temp files and cache is sometimes necessary as well--Clear Browser Cache instructions. Posted by: Amy Sorensen - Mon, Oct 19, 2015 at 2:39 PM. This article has been viewed 1073 times.